Archive from category "Chimney Sweep"
Winter has arrived in Cincinnati, Ohio, and that means frigid temperatures and dreary weather. It also means it is time for chimney cleaning and chimney maintenance. How well do you know your chimney network? In this short guide, you will be informed of the top five structures of your chimney system. The flue is also known as the chimney itself. It is the opening where the smoke and gas is vented to the outside from your indoor fireplace, wood stove, or furnace. 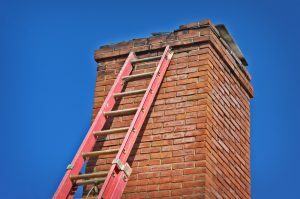 If a chimney repair needs to be made, it can be on the flue, which is also known as a masonry chimney. The pipe needs a chimney cleaning at least yearly and possibly more depending on how often you use your fireplace. The flue liner lines the chimney or flue. It is a critical component of the chimney system as it creates a smooth surface so the fire within the chimney cannot spread. It keeps the ventilation going up and out of the home instead of blowing the harmful smoke and gases into your living room. The liner also has excellent strength so the fire from the fireplace cannot weaken the structures around the flue liner causing a collapse or explosion inside of the home. All stoves should have a flue liner that has regular chimney maintenance performed on it yearly. The chimney cap is another essential structure within the chimney itself. Just like the gutters are crucial to roofing, so is the chimney cap to the flue. The chimney cap keeps the dreary and cold weather from blasting inside the chimney and causing damage to your system. It blocks the flue opening so animals and other critters cannot come inside causing a fire or a blockage within the flue. It also keeps any loose particles, sparks, or flames inside the flue, so the particles do not catch your roof or your neighbor’s homes on fire. The damper is another crucial part of your chimney system. It is useful as it allows you to close the flue during the spring and summer when you are not using the fireplace or furnace. It can also help when lighting a fire in the fireplace and it helps you control the girth of the fire and flames. The damper is vulnerable to moisture though, and if water has entered your flue, the damper is most likely rusted and not working correctly. A local handyman or professional chimney sweep can repair or replace a damper that is not working properly. The last crucial component of the chimney system is the firebox. It is similar to your HVAC system as it does all the work and gets no love. The firebox is just as it sounds; it is the area where the fire is burning and where it is contained. It needs to be built to fire code, as it is imperative that your home is protected from a fire in the fireplace. As you can see, there is a lot to a chimney. It is essential to keep up with your chimney cleaning and chimney maintenance throughout the season. 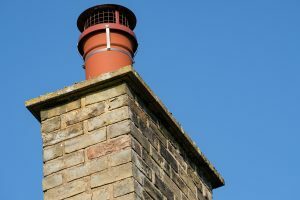 Whether the flue, flue liner, chimney cap, damper, or firebox needs to be maintained or replaced, knowing how your chimney and surrounding structures operate is vital to being a homeowner. If you keep abreast of the top five structures of your chimney system, and perform regular chimney cleaning, you will have the best functioning chimney in all of Cincinnati! When Should I Replace My Chimney Liner? If you live in the Cincinnati, Ohio area, then you know how important it is to have heat in the long, cold winter. One way to stay warm this winter is with a fireplace. Although, having a fireplace does mean chimney cleaning and chimney maintenance. If you don’t have a chimney liner then you can also be at risk of other problems with your chimney. In this short guide, you will be informed when you should replace your fireplace liner. If you have an older fireplace and do not remember ever changing out the liner, it is most likely time to do so. Usually, a chimney sweep will inform you if you need a new liner if they have seen a buildup of residue from burning wood or any cracks to the liner. Chimney repairs can be costly and may not completely fix the problem, so if your chimney sweep has advised replacing the liner, you should heed his or her warning. If you have an older fireplace or even if you don’t, liners can get cracked or have other damage. It is more common in older fireplaces because the liners were built using clay or other types of materials rather than stainless steel, which is what the liners are made out of nowadays. If you choose to keep using a cracked chimney liner, the soot can dissolve into the mortar and the joints and cause a potential fire. If you have a clay liner that is not cracked or damaged, it is still wise to replace it. Over the years, the breakdown of the wood and charcoal into soot can clog the chimney causing a carbon monoxide leak. It is best to replace the liner if you can by purchasing a stainless steel or cast-in-place liner. 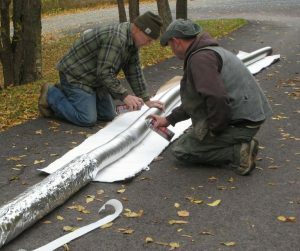 You are probably not saving a lot of money if you have a fireplace without a chimney liner. Occasionally no liners were installed in the past, but it has been found that liners help the wallet! A stainless steel liner which is the industry standard requires less labor and are available in a variety of sizes to fit your fireplace. 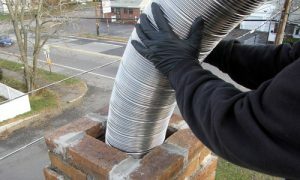 A liner will give you higher temperatures in the flue, which is a good thing because it keeps the soot to a minimum and saves on your heating bill. Just as you would call for a professional to perform HVAC maintenance, power washing, roofing fixes, simple remodeling, cleaning of the gutters, or exterior painting, you want to do the same when dealing with chimney cleaning and chimney maintenance. This is especially true if you are not comfortable with the task or run into any obstacles. It is always better to call the professionals than to attempt a task and then regret it. Make sure to call a Cincinnati handyman if you get into a sooty situation! As you can see, there are multiple reasons you should replace your liner. Chimney cleaning and chimney maintenance are critical to do yearly, as you do not want a carbon monoxide leak or a backup of soot into your home. If you follow our advice on when you should replace your fireplace liner, your Cincinnati home will be cozy warm this winter!